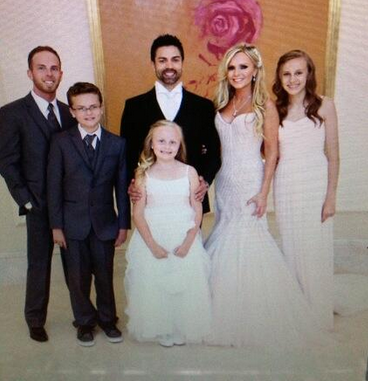 Real Housewives of Orange County's Tamra Barney is getting married for the third time and Bravo TV viewers will get to see all of the behind the scenes action leading up to her third nuptials. I took a look at the previews and to be honest, it was two minutes of complete bore-fest. Tamra cries (as usual) someone calls her out on her past divorces (and she cries again), Eddie is bossing her around and acting like her ex-husband Simon, and in the end she goes through with it all and becomes Mrs. Eddie Judge. Smh, I really hope it works out for Tamra this time around but Eddie gives me tooty fruity and controlling vibes. Will you be watching Tamra's wedding spin off? Follow Real Reality Gossip on Twitter and Like Us on Facebook! Can I please have my "two minutes" back!!! Just what I thought... BORING & PREDICTABLE !!! I'm so over these housewives and their "over the top" weddings spin-offs... BEEN THERE, DONE THAT!!! UGH!! Yup, a complete waste of air time! Not everyone who gets married needs a damn spin off!